When we think of social media for higher education, we most likely think of it as a way to promote the university brand, recruit students and to keep students engaged. It’s not often thought of as a lifeline, a method of communication to keep students safe. In the wake of the devastation caused by Tropical Storm Harvey, however, the University of Houston used social media as a means to keep their students safe and to help reassure anxious parents. There is no doubt that social media is a powerful tool, instantly communicating vital messages to students while also helping to keep school spirit afloat in the face of impossibly difficult challenges. 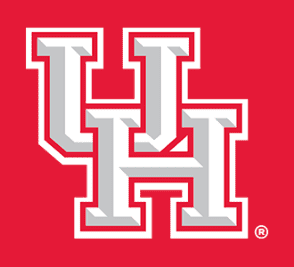 The University of Houston’s social media team were unfalteringly positive throughout the events of the storm (and for weeks afterwards) – sharing stories of empowerment, offering advice and putting the needs of their students first. The University of Houston is closed and will remain closed through the weekend. No determination has been made regarding operations next week. A decision will be made no later than Sunday at noon. #Harvey2017 - EMERGENCY OPERATIONS CENTER UH has activated its Emergency Operations Center and continues to monitor the storm. UH is coordinating with the National Weather Service, and local and regional government emergency partners. As part of its Hurricane preparations, the university has contingency plans for evacuation of on-campus residents and will continue to monitor on-campus conditions and make determinations, as necessary. - STUDENT RESIDENT INFORMATION Student safety is our top priority. Residential facilities will remain open and staffed by university personnel. We anticipate approximately 2,000 of the 8,000 on-campus residents will remain here during the storm. All residential facilities meet hurricane building codes and buildings are equipped with backup generators that power life and safety features, such as elevators and security/safety systems. - DINING The following dining services will be available to residents: -Moody Towers Dining Commons will remain open 24 hours a day, but will have a limited menu after 2 p.m. Friday. -Cougar Woods Dining Commons will be open 7 a.m. to 8 p.m. Friday through Sunday, but will have a limited menu after 2 p.m. Friday. -The Cougar Village Market and University Lofts Market convenience stores will be open during regular hours on Friday, and 10 a.m. to 3 p.m. Saturday and Sunday, unless they lose electrical power. All universities and colleges hope they won’t ever have to use their social media accounts in the wake of a disaster but it’s important to recognize the vital role it can play in keeping students save and reassuring loved ones.